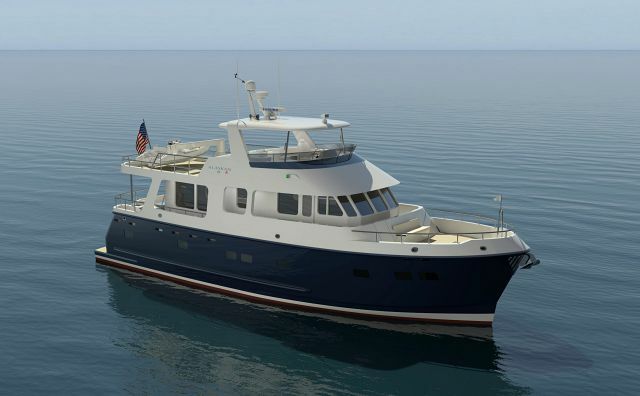 Designed and built in the Alaskan Yachts tradition, the Alaskan 57 Mark II delivers comfortable accommodations and the capability for extended cruising and liveaboard in an affordable, long-range yacht that is small enough to be operated and maintained by a couple. The 57 Mark II incorporates all the essential features of significantly larger trawler-style yachts — including a stand-up, sound-attenuated engine room; dual control/navigation stations; a fully-windowed spacious maindeck saloon and pilothouse; full walkaround maindeck with a Portuguese Bridge style coaming forward; a large flybridge and boat deck; and tankage sufficient for a range of more than 1,200 nautical miles at passagemaking speeds. 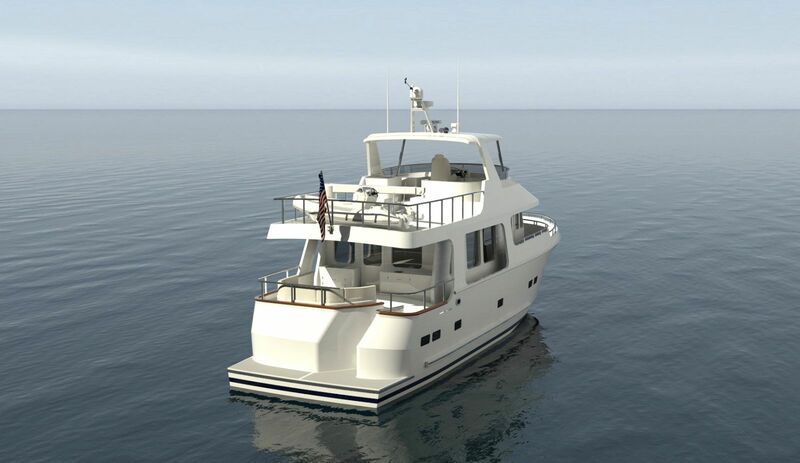 Her interior layout features an innovative large master suite — situated aft, where it provides maximum privacy for her owners when guests are aboard — and she offers the choice of a single large VIP or a pair of smaller guest staterooms forward. 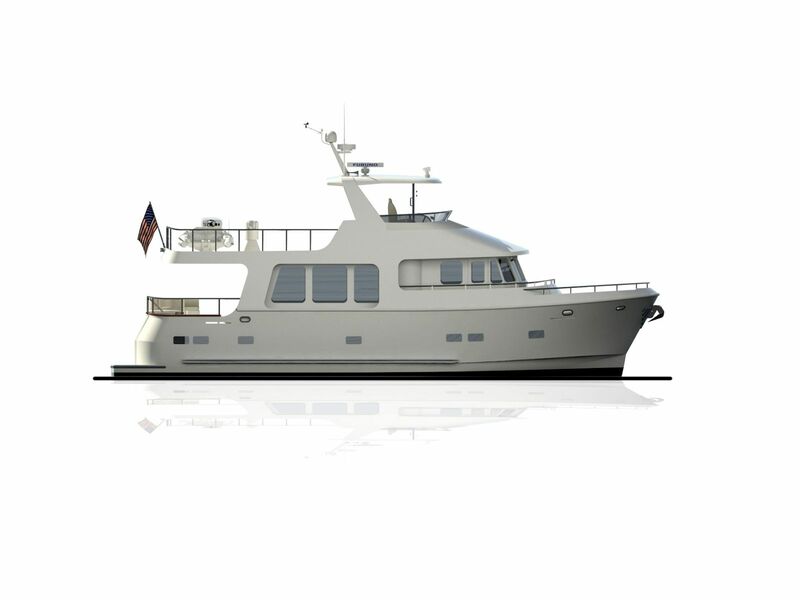 Like all Alaskan Mark II Series trawler-yachts, the 57 is value-engineered to deliver maximum value for the price. That doesn’t mean she’s cheapened down, but rather that every standard feature and item of equipment has been analyzed and evaluated to assure that it does its job 100% and is durable and reliable, not simply a flashy or gimmicky costly addition to what promises to be an exceptionally able yacht for extended cruising. 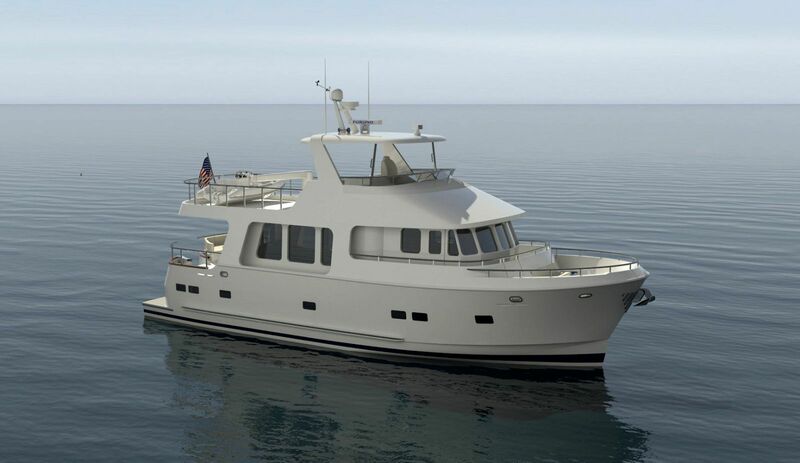 The 57 Mark II is built on our trademark Foil Box-Section Keel TM semi-displacement hull form, developed by renown naval architect Stephen R. Seaton exclusively for Seattle Northwest Yachts. This innovative integrally-molded, heavily-reinforced keel provides valuable volume for tankage in the lowest part of the hull, where the weight adds significantly to both magnitude and range of stability. It also provides full headroom down the centerline in her engine room, thereby raising the serviceability of her machinery layout to truly big-yacht standards. 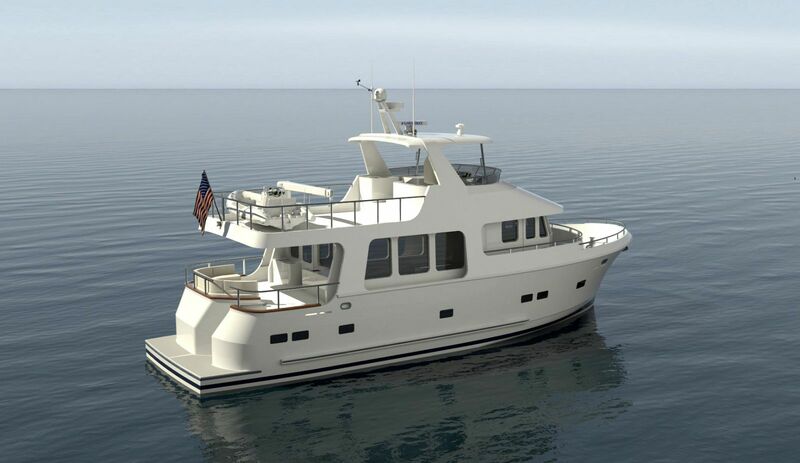 The 57’s beamy 17’6” wide hull combines with her generous freeboard to produce a stable, seaworthy yacht with the interior volume and load-carrying capacity needed for serious extended cruising and liveaboard. 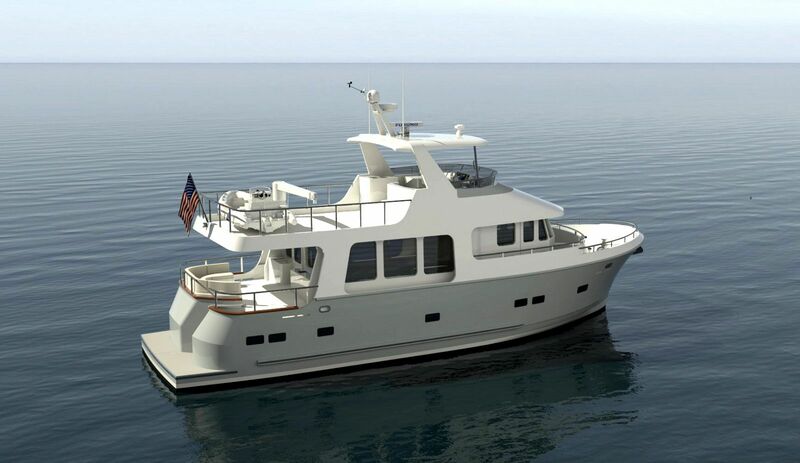 Call or email us to talk more about the innovations and features that are packed into this exciting, value-laden new trawler yacht that can take you wherever you want to go in safety and comfort. 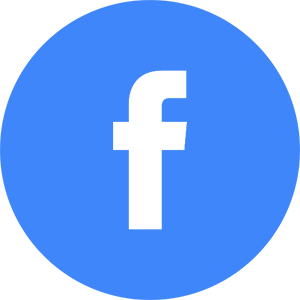 Note: specifications are subject to change without notice prior to the execution of a build contract. Fuel Tank Capacity: 1,150 Gal.